For many companies, campus recruiting is a main part of their recruiting process. Yet since campus recruiting is different than traditional recruiting, some of the best strategies are often overlooked. Are you forgetting any of these 9 campus recruiting best practices? Take a look at our list below and find out! Building up a talent pool is one of the key pieces of campus recruiting. Why? Because it allows you to collect the candidate's contact information and stay in touch with them. This is crucial for students especially, because they are not necessarily actively looking for a position but will be interested in the future. 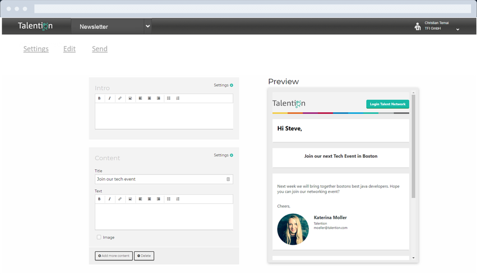 By storing their information in a talent pool, you create your own database to source from for your next open position. 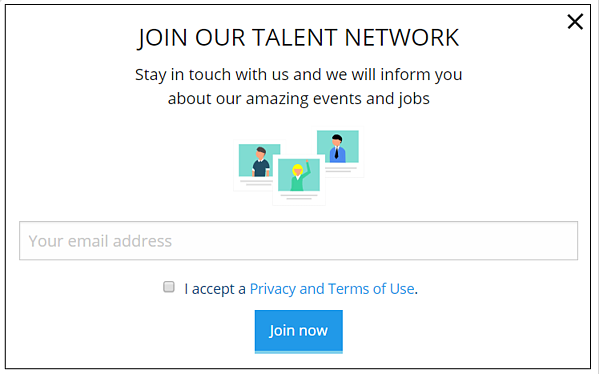 Once you’ve begun collecting contact information for your talent pool, you can begin to plan out a nurturing campaign. This is a way to keep the students as “warm” leads. By sending them regular newsletters or emails, they will remain familiar with your company and keep you in mind when they are ready to pursue a full-time job. The average college-aged adult spends over 4 hours a day on the internet. 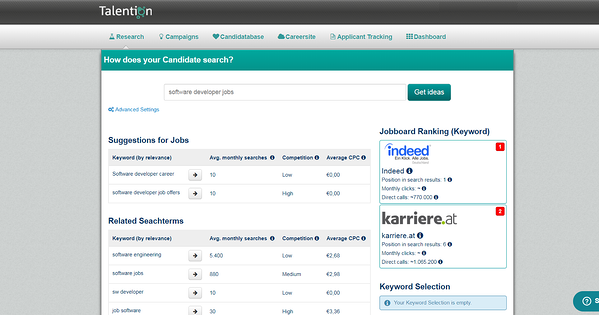 So if you’re looking to get their attention, you should make sure that you’ve optimized your job ads for search engines. For example, make sure you are using the right job title. If students are searching for the position "Junior Marketing Manager" but your position is called "Entry Level Marketing Associate", you may not get as many applications. We’ve already discussed how often students are online throughout the day and a significant amount of that time is spent on social media. Having an active and engaging presence on social media is crucial with this target group. Instagram, Facebook, Twitter, and LinkedIn are all a must. Everyone knows that students are always on the lookout for free food and drink, so hosting campus recruiting events is a great way to get their attention. Not only can you get to know them in person, but through a well-thought out and planned event you can leave a lasting positive impression. Reaching students is not as simple as posting job ads to your usual job search websites. You may need to test out new channels and try alternative sites to reach students. 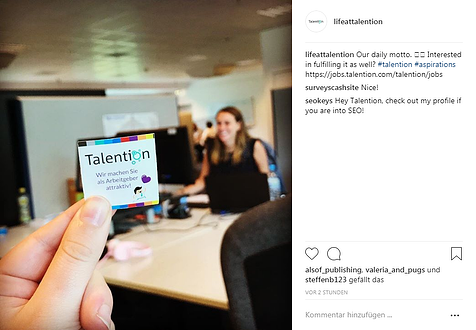 For example, what about using targeted job ads on social media? Students are a very different target group than the rest. For instance, they are often young and without any family ties, making it easy for them to move to new places. This makes recruiting students even more difficult because their options are endless. You have to stand out as with your employer branding and show them why you are the best fit. Piggybacking on the last point, you have to create an unforgettable candidate experience to stand out to students. Upon graduation, they are targeted by numerous companies and potentially begin the candidate journey at multiple companies. Their experience at your company should be the tipping point that convinces them to accept your offer. No strategy is complete without analytics. You should be tracking the success of your campaigns to ensure that you are on the right path. 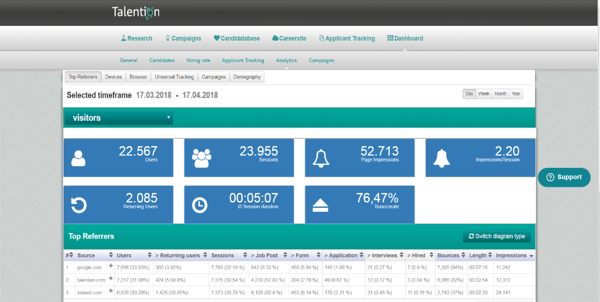 Through analytics you will have a better overview of how your campaigns are working and what you can do to improve. Would you like to learn more about campus recruiting? We will gladly show you further best practice examples and concrete implementation in the Talention software. You can request a demo here and someone will get in touch with you shortly. Request a demo now.